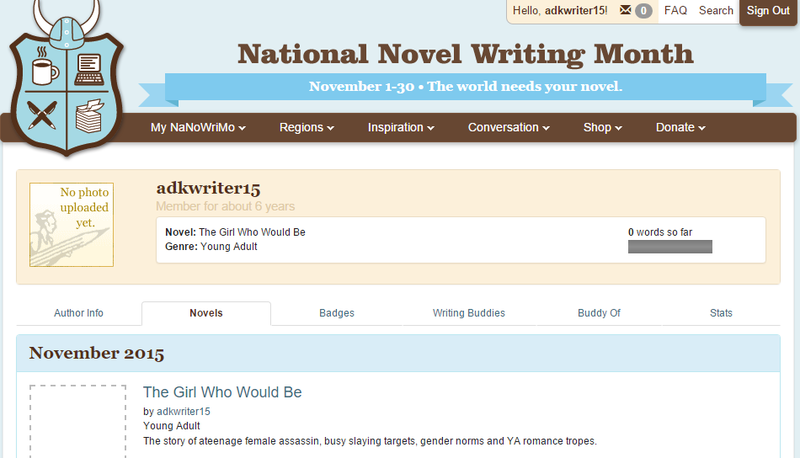 So … I finished NaNoWriMo yesterday! 50,000 words, eight days … I feel like the living dead but it’s all good! The book needs serious editing, I really hated my main character but I can handle that. It helps that for the past eight days I’ve had nothing to do with my life because I got a break from school. Of course, now my question is why in the world did I finish in eight days? To say I could? To win the competition going on between my friends? Probably both, but a word to the wise? It’s a lot more fun when you have to fight to win. I’ll admit, NaNo this year wasn’t particularly fun. More like a rushed job done in between two huge deadlines all while battling some depressing forces. Well, what’s done is done I suppose. Next year, I’m taking the entire month.